Not everything in the animal kingdom is an lovely songbird with beautiful wings or a cute crustacean bobbing along the ocean floor or a fuzzy little kitten on your lap or adorable snakey nuzzling your neck (you get my point)… some creatures are just unpleasant! Here are a three examples of the weird and wonderful, but not necessarily cute, beasties in the animal kingdom… starting with the world of water! Usually found in lists of animals not winning any beauty awards! This poor fella has a rep for having an ugly mug – living in the murky deep off the coast of Australia, Tasmania, and New Zealand, this fish grows up to 12″ and has a low-density, giving it the jelly/blob look which actually aids in in bobbing along in the high-pressured deep. However, as you can see fron the inage above, they’re a lot less vlob-like underwater! 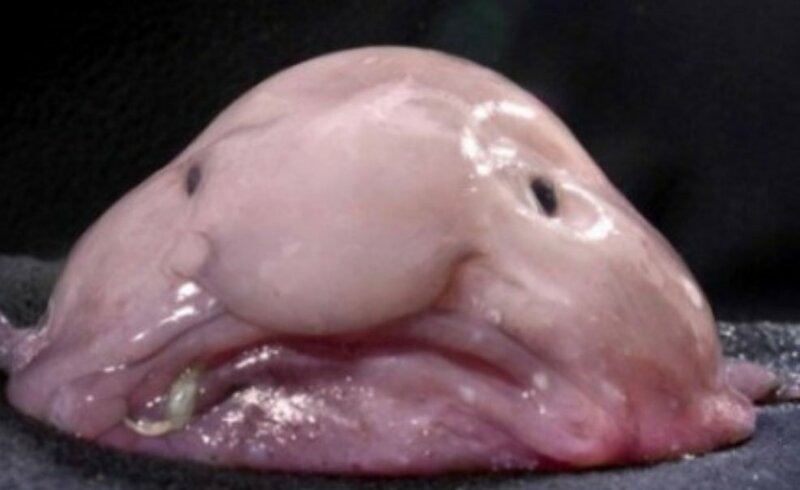 Unlike most fish species, the Blobfish doesn’t have a swimbladder to keep it afloat but rather their blobby structure and the pressure of the deep work together to keep them floating. 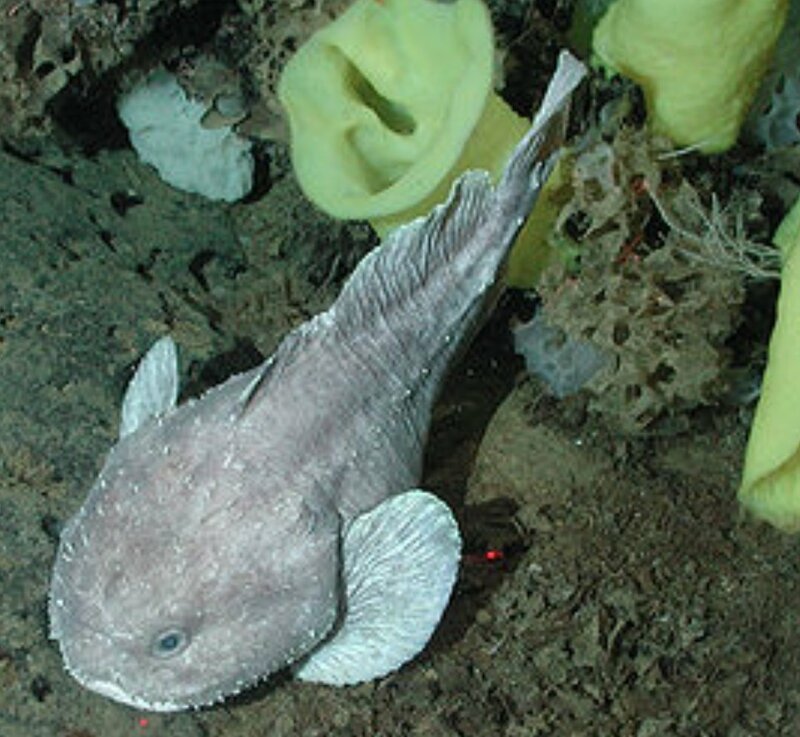 The Blobfish isn’t very active, and pretty much just waits for food to pass by. This little guy was actually voted the “World’s Ugliest Animal” in 2013! Out of water (see image below) – you can see why it won that title! I know (personally) a few people think the Axolotl is quite cute but I have never seen the appeal so they have made my little list of ugly aquatic animals. The Axolotl only lives in the lakes of Xochimilco, Mexico (and in various homes/ tanks around the world) and is the top predator in its’ habitat. 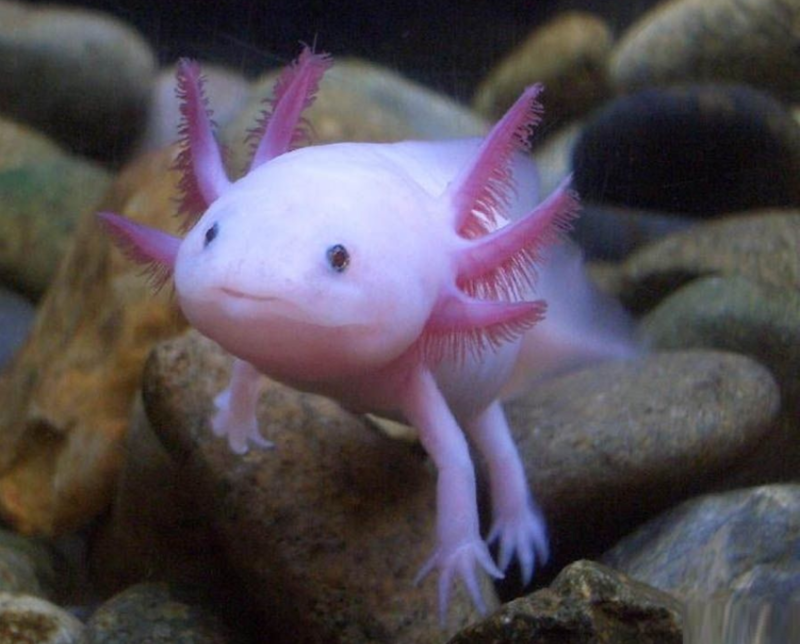 Axolotls can grow up to a foot in length, however usually only reach half a foot. This ugly little salamander has the ability of regrowth – it can regrow a limb if lost! Despite this fascinating ability the Axolotl is critically endangered and on the decline. Colouration is usually mottled brown or black; however white, albino and piebald variations do occur – but usually in captive environments. I personally think the albino and white colouration’s are uglier than the other variations, as they give the appearance of being almost translucent! They have a dorsal fin running from the neck to the tip of the tail, and external gills with a feathered appearance – this is unusual in salamanders; as such the Axolotl is considered to be aesthetically neonatal, as it stays in larval form throughout its’ life. This is a shark of many names; the scientific name being Mitsukurina owstoni named after Kakichi Mitsukuri and Alan Owston – the two people who discovered this unusual shark species. It is mainly found off the bays of Japan, however can also be found off the coasts of Australia, New Zealand, USA (California and Florida), Brazil, Portugal, France, South Africa, Taiwan, and Sri Lanka. in Japan the Goblin Shark is known as tenguzame (Tengu being a long-nosed mythical demon creature, and zame meaning ‘same’). Along those lines, it i known as Gnome or Demon Shark in Portugal; in USA it is known as Goblin or Elfin Shark. This amazing and ugly looking shark has nail like teeth, set in a flexible jaw under a long, protruding, pointy nose. The see the unusual bite action of the Goblin Shark watch this amazing YouTube video – the jaws spring forward out of the mouth in a pincer-like grab (protrusive jaws)… showing that’s looks aren’t everything! 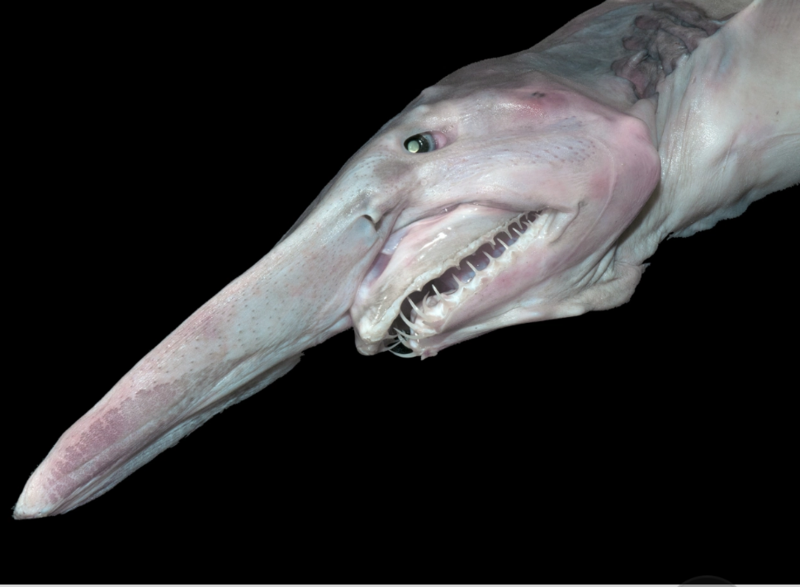 The Goblin Shark is pinky in appearance due to the blood vessels being close to the surface of the skin, and can grow to over 10ft in length. 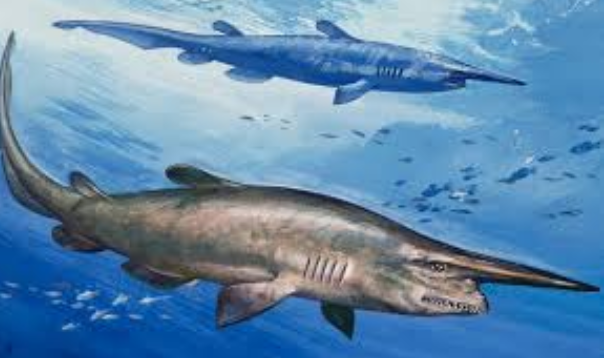 The last Goblin Shark sighting was in 2000 – before that the last sighting is said to have been in the early 1970’s. As such, there are few photographs of this ugly mug!